Over 250 trophies were awarded to winning banks and insurers. 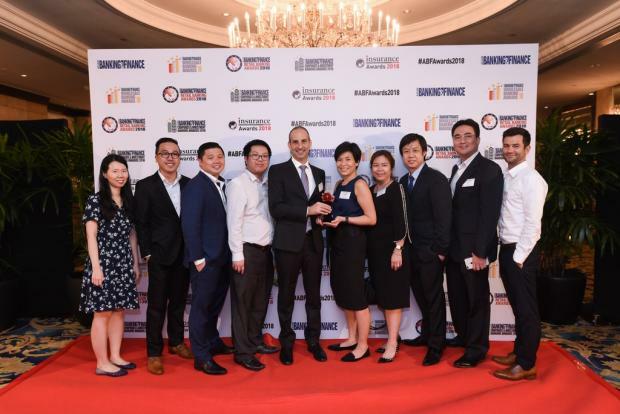 Over 200 outstanding banks and insurance companies from nearly 40 countries were recognised at the 2018 Retail Banking Awards, Wholesale Banking Awards, Corporate & Investment Banking Awards, and Insurance Asia Awards held at the Shangri-La Singapore on 13 July. The event beat last year’s record after gathering more than 330 executives and guests in one roof. This year’s nominations were judged by representatives from the Big Four accounting firms: Mohit Mehrotra, regional head of financial services, strategy & operation at Deloitte; Liew Nam Soon, ASEAN managing partner at Ernst and Young; Egidio Zarrella, ASPAC head of banking and capital markets, KPMG; and Andrew Taggart, partner, financial services leader, PwC Southeast Asia Consulting. “Whilst the rest of the world is occupied with the World Cup, tonight is a night to recognise banks who are well deserving of their recognition. I'd also like to thank the judges for the ABF and IA Awards" said Tim Charlton, publisher of Asian Banking and Finance and Insurance Asia magazines.